We hear in the 1st chapter of Mark a strong act of faith in the healing power of Jesus. If you want to, you can cure me. The dynamic in this story is like that of the woman with a haemorrhage – a miracle story that occurs in chapter 5 of the same Gospel. In her mind she said that if only I can touch his cloak then I shall be healed. Mark is telling us that divine power flows to us in the measure of our faith. Also, Mark is telling us that where faith in Jesus is present, that faith is restorative, making us clean by welcoming the Lord into our hearts and minds. By faith the power of God renews what is disfigured and diseased, interiorly and exteriorly. Faith is key to God’s kingdom – health and wellbeing is integral to it. But in the healing miracles of Mark there is a sense of uneasiness about the healings. It is not that Jesus is being too liberal or that faith is making him heal where he doesn’t choose to. It’s that there is more to him and people aren’t going to grasp what he is truly offering if they limit their expectations to mere physical cures. I think we can put ourselves in this category. Many of us have probably cried out to the Lord using the leper’s same words, “If you want to you can cure me.” His response to the leper was, “Of course I want to! Be cured.” So, why doesn’t Jesus want to heal me? The Gospels seem like a lie. This amazing Jesus healed others, why not me? This amazing Jesus bla, bla, bla ... all the stuff he does, just not for me! But if we think about Jesus’ reaction in the Gospel, physical healing isn’t highly rated. 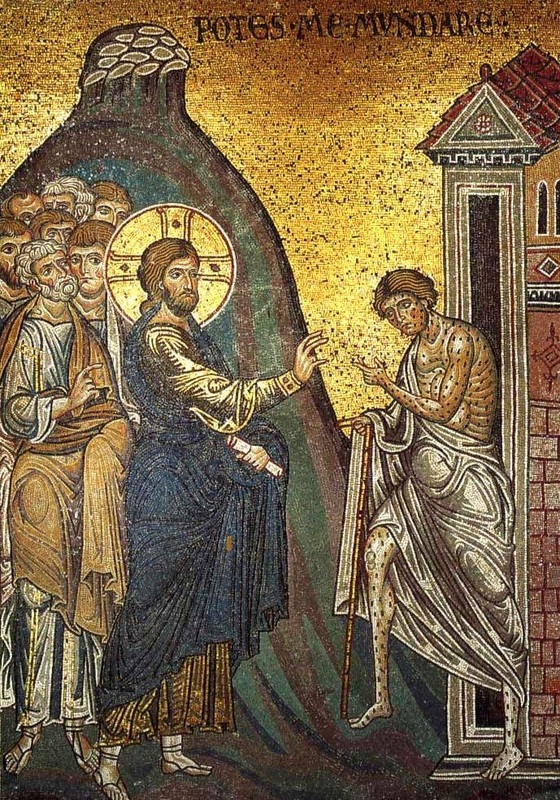 Jesus tells the leper to “say nothing to anyone.” If healing is so important to our wellbeing he would have told those he cured to tell everyone, so everyone could be healed. Clearly Jesus didn’t want this. Why doesn’t Jesus heal all the sick people? Because there is something far better the Lord wants for us. If you continue reading the Gospel of Mark, you will realise that what Jesus wants is discipleship, as our following the Lord is the singular way to the fulness of life; to salvation, and the fulfillment of God’s promises. Discipleship is not based on miraculous signs; rather our faith is based upon following a crucified Jesus. That’s the point Jesus wants us to come to terms with.